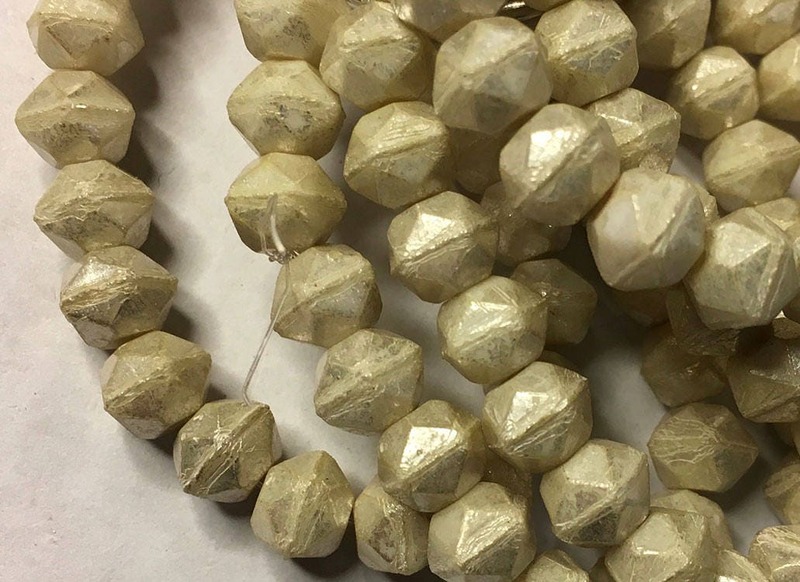 Vintage look Ivory with Mercury-look silver finish Czech pressed glass English cut beads. These are 8mm in size and there are 20 beads per strand. Really like these! Will work great with our creations! Oh My Goodness....I am so happy I purchased these. They are really beautiful.